So if you remember my last post, on my custom Holy Trinity, I mentioned that I had something special for the Veneno? It took me longer as I started to go OCD on it, especially the interior. The interior, while a pain, came out extremely well in my opinion. 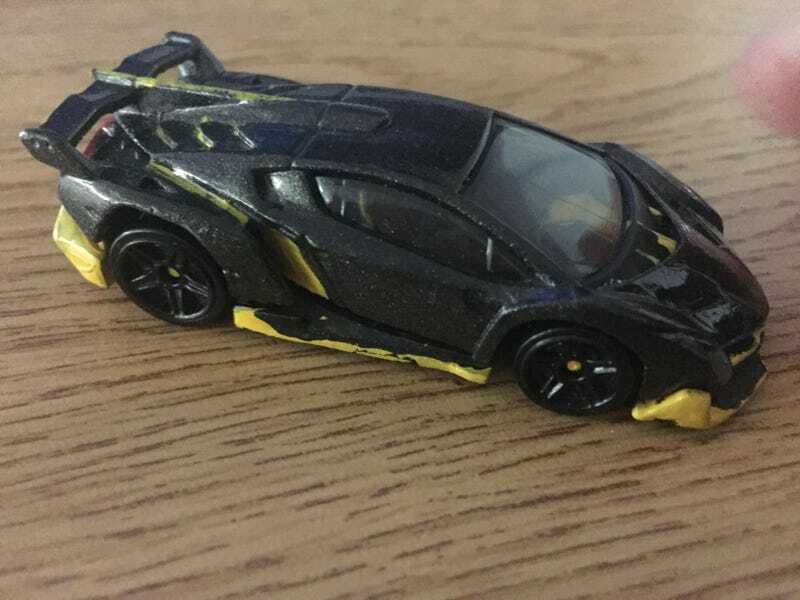 If you couldn’t tell, I was very much inspired by the Lamborghini Centenario. I have to say the rear diffuser is still very rough, but the Testco Yellow I was using did not apply nicely at all. The above was accomplished after several absurdly heavy coats, and then going back with flat black to try & cover the vents back up. Overall, for my first painted custom, I think it came out extremely well. It made me realize I desperately need paint pens, and better paints. But anyway, I’m really proud of what I did. Interestingly enough, since I finished this car, I have completed 6 others, with another 4 in the workshop, not bad for only doing this for a week/2 weeks. I’m really excited to post this. I’ll likely take a crap ton of photos, but I’m still setting up a ‘photo studio’ (bedsheet for backdrop tbh) with light in my basement. However if your interested in seeing my other 5, lemme know, because while not as detailed, and some having small mistakes (I’m inpatient and messed up clear coat on 2) I’m more then excited to post.